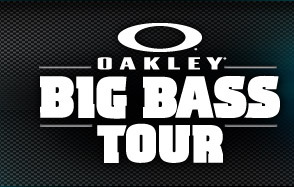 New for 2015, OPTIMA® Batteries is proud to exclusively partner with and sponsor the Oakley Big Bass Tour! For every Oakley Big Bass event this year, OPTIMA Batteries will offer an incentive program to the participating anglers and/or teams. In each event, the top finishing angler that fulfills the specified OPTIMA Batteries True Blue contingency criteria will be eligible to receive a cash prize from OPTIMA Batteries. The prize may vary for each event and will be communicated to anglers by the tournament director prior to each event.  Be the top finishing angler or team that fulfills all contingency criteria. In the case of a tie, the person who weighs in first will be awarded the prize.  Display an OPTIMA Batteries decal on the boat during the entire event. Decal must be displayed appropriately above the waterline on either side of the boat, on the back of the main outboard engine or on the driver side windshield. Decals will be available from your tournament director.  Participate in a boat for the entire competition that uses only OPTIMA Batteries in the boat. No other brand of deep-cycle or cranking battery is allowed on board at any time for any reason. 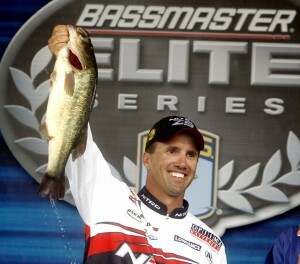 Contingency prizes will be paid out on-site by the Oakley Big Bass Tour. Please note each angler is only allowed to claim two cash prize payouts per calendar year. OPTIMA Batteries reserves the right to refuse payment if one or more of these criteria are not fulfilled or suspect fraudulent claims. All decisions by OPTIMA Batteries representatives are final. You can sign up for an Oakley Big Bass Tournament here.